Gio sells millions of dollars of fish a year, including home delivery across the United States. He’s also an avid scuba diver and has seen many octopus in the wild. That’s where his respect for the creature began. While it might seem strange, the whole city of Morro Bay thinks Fred and Gio are both pretty cool. 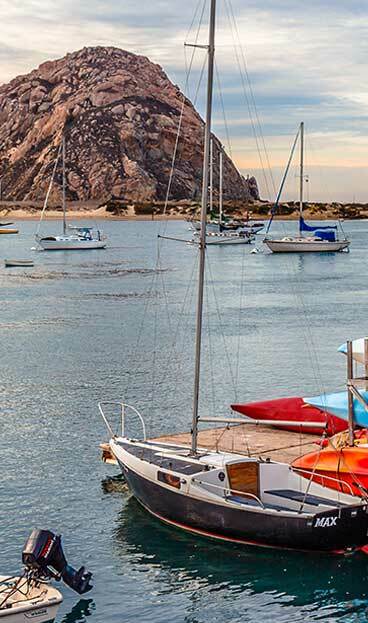 Morro Bay Califorina is known for its small commercial fishing fleet that focuses on sustainably caught local seafood, one of the few small community fishing fleets still operating on the Pacific Coast. Follow Fred’s adventure on the restaurant’s Facebook page and watch Fred being released back into the wild on May 17, 2018. Giovanni’s Fish Market has been family owned and operated in Morro Bay for over 25 years and has a great reputation in the community. Giovanni’s features local and imported fish on their menu. Choose from a wide variety of grilled and deep-fried fish and shellfish, as well as award winning chowder, and Mexican seafood dishes, weekly specials and more! For more information on Morro Bay, visit www.morrobay.org or follow Morro Bay on its Facebook page.